"A time comes when silence is betrayal" - These words are just as relevant today as when Dr. Martin Luther King Jr. first spoke them 39 years ago. At first glance they might be overlooked as just a simple protest against the war in Vietnam, but the relevance of this entire speech to the modern world we live in today, particularly issues like the truth of 9/11, can be heard in almost every inspiring point made. 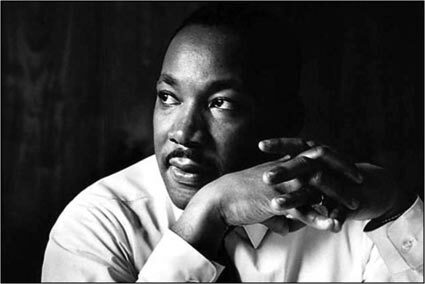 MLK mentions how "conformist thought" can end up preventing people from challenging their government sufficiently, especially in times of war, and how those who do speak out often then find it a "vocation of agony" because the current political climate deems it controversial or unpatriotic - nevertheless he says, "We must speak". But for this silence to be a betrayal, whether it’s because of denial, forced circumstance, or just plain fear to speak out, the person not speaking out has to already know the facts and understand full well that they’re not doing the right thing. So, for the vast majority of uniformed people their silence can’t be described as a betrayal, because like the majority of people in the 9/11 truth movement - who also initially believed the official story - their silence most likely stems from being naïve, innocent, and ignorant to the facts. John Albanese (not verified) on Thu, 09/14/2006 - 1:57pm. GeorgeWashington on Thu, 09/14/2006 - 2:15pm. Dem Bruce Lee Styles on Thu, 09/14/2006 - 2:20pm. LOL Oh this is on the front page, thanks GW! Dem Bruce Lee Styles on Thu, 09/14/2006 - 2:26pm. This is some excellent writing! Thank you! casseia on Thu, 09/14/2006 - 2:40pm. I've used this quote in at least one email I have sent to Amy Goodman and the Democracy Now crew scolding them for their silence on 9/11. I've used it when writing to others, including John Conyers, whose otherwise excellent work is overwhelmed by his silence on 9/11. I think a combination of Press for Truth and this wisdom and candor from MLK can make a good cocktail for awakening people to 9/11. BCS on Thu, 09/14/2006 - 2:45pm. Chris on Thu, 09/14/2006 - 2:50pm. Love that video dude, thanks! Dem Bruce Lee Styles on Fri, 09/15/2006 - 8:47am. I was listening to this speech, in a bulletin I put together. If you guys don't know he gave this speech 1 year to the day that he was assassinated. Anyways it was one of those days, and what he had to say their vindicated everything I'd been doing since last semptember. It was a big emotional release, but at the same time a realization at how far some of us might have to go to get this done. OWN the NWO on Fri, 09/15/2006 - 3:50am. Pretty nice find on this comment. I also noticed the same quote is in the back of the "Whos who of the Elite" book. Very apt line for this movement too. ParallaxView (not verified) on Fri, 09/15/2006 - 11:20am.